We offer upholstery services for home furniture, outdoor furniture, guesthouses and offices. We offer a complete carpet and rug cleaning service – including shampooing, water extaction, removal of stubborn stains, pet stains and odours, dust mites, etc. We utilise fully-comprehensive cleaning methods to ensure that your lounge suites, sofas, chairs and cushions will be clean and fresh. Do you need your home, office or business spring cleaned? 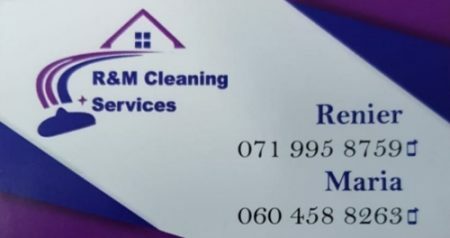 We specialise in domestic and commercial cleaning services, guest houses, show houses and post-event cleaning.